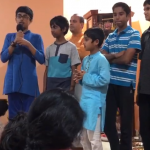 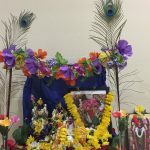 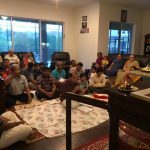 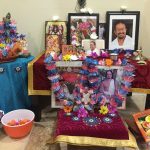 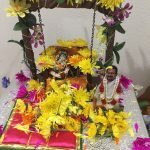 By the infinite grace and compassion of Sri Swamiji, a 12-hour Akandanama was conducted by Orlando GOD Satsang on Sunday May 4th 2014, at the residence of Sri.Nagarajan ji and Mrs. Ranjini ji. 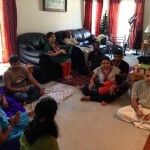 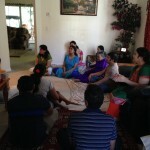 About 20 devotees participated in this blissful event, and filled the atmosphere with the divine names of the Lord. 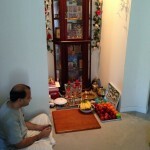 All the devotees were blessed to experience the vibrations generated by the incessant chanting of the Mahamantra. 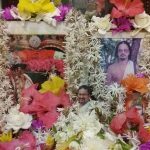 Everyone offered their humble prayes to the holy feet of Sri Swamiji, to bless them with more and more satsangs in the near future.